This world is controlled by laws of economics! This was again proved to be true by Sony at the Gamescom press conference. The Japanese major today announced a steep price cut of their Sony Wi-Fi PlayStation Vita by $100 in the US and €100 in Europe. Accordingly the new price of the Sony Wi-Fi PlayStation Vita will be $199.00 (Rs.12000) in the US and €199 (Rs.16900.00) in the continental Europe. They have further promised that there would be "significant reductions in the price of PS Vita memory cards"
However the company kept mum on the $299.00 3G/Wi-Fi bundled version of PlayStation Vita(which right now Amazon has listed at $249.00) or the range in which the memory card would be reduced other than a rather oblique "significant reductions" statement. Remember the Sony's portable handheld gaming console uses Sony's proprietary Vita memory cards which have always been costlier then the regular MicroSD cards available in the market. What led Sony to reduce the prices as much as by a third. 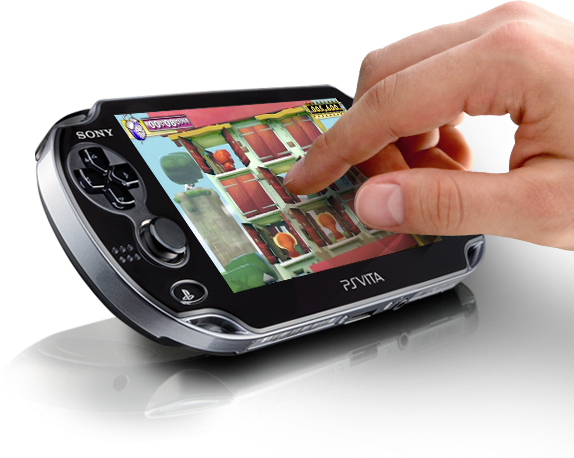 The analysts have pointed out that the company has failed to meet its targets for the portable PlayStation Vita since its launch last year. Earlier in February, Sony had lowered the price of the portable Wi-Fi PlayStation Vita in its home territory, Japan. Near - A GPS-based social app that shows nearby Vita users and allows users to gather Game Goods, like unlockable add-ons in ModNation Racers: Road Trip. Maps - A Google Maps app that provides directions and GPS data. Photos - The system’s camera and photo/video viewing app. Party - Connect with other PSN friends with voice and text chat. Friends - Friends list viewer. Group Messaging - Basic text communication with friends and PSN users. Trophies - View yours and others’ trophies. Video - The system’s viewer for downloaded or synced video content. PS Store - Direct access to the PSN Store. Browser - Basic web browser. Content Manager - An app that allows you to copy content to/from your PS3 or PC. Remote Play - App that allows you to access a paired PS3 remotely via Wi-Fi. Settings - Primary system settings interface. Network Operator (3G Model Only) - App that allows users to setup and adjust the unit’s 3G connection. Sadly for Indian customers the Flipkart still shows the price of the Wi-Fi PlayStation Vita as Rs.19990.00. You can check it out here.